Funeral services will be conducted Monday afternoon, October 12, 2015 at 1:00 p.m. from the First Baptist Church of Dickson with Pastor Mike Miller officiating. Place of rest will be in the Dickson Union Cemetery. Visitation with her family will be Sunday afternoon, October 11th from 2:00 p.m. until 4:00 p.m. and 6:00 p.m. until 8:00 p.m. at Taylor Funeral Home and on Monday beginning at 11:00 a.m. until time of service at the church. Those desiring, Memorials may be made to the Whitaker Sunday School Class of First Baptist Church of Dickson or to the Dickson County Help Center. 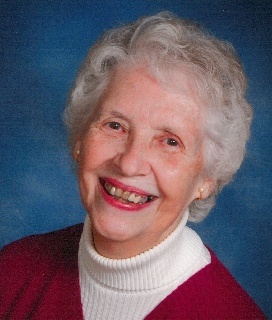 Mrs. Somerville, age 82, of Dickson,TN died Thursday October 8, 2015 at Centennial Medical Center after a short stay. She was born in Hickman County, Tennessee, daughter of the late Arthur D. (A.D.) and Pauline Davidson Spicer. She was a homemaker and member of the First Baptist Church of Dickson. She was the widow of the late Jimmy Somerville and preceded in death by her sisters; Lois Green and Buna Edney and by a brother, Ronny Spicer. Survivors include her daughters; Teresa Fisher and her husband, Herschel of Kingston Springs,TN and Tammy Somerville of Nashville,TN, her grandchildren; Scott (and April Harrington) Fisher, Elizabeth (and Jacob) Guinn, Grant Fisher and Olivia Fisher, her great grandson; Daniel Guinn, her great granddaughter-on-the-way; Lydia Kate Guinn, her brother; Paul Spicer of Nashville,TN, her sister; Joyce Coleman of Springfield,TN, several nieces and nephews and several great nieces and nephews.